In its research on application security, Aberdeen found that companies leverage three distinct strategies to address the security threats and vulnerabilities that are latent in their currently deployed portfolios of application software: Find and Fix, Defend and Defer, and Secure at the Source. Taking all factors into consideration, should the primary means of achieving secure applications be inspection, additional layers of protection, or prevention? The answers to these questions are one part context, one part business judgment, and one part philosophy. 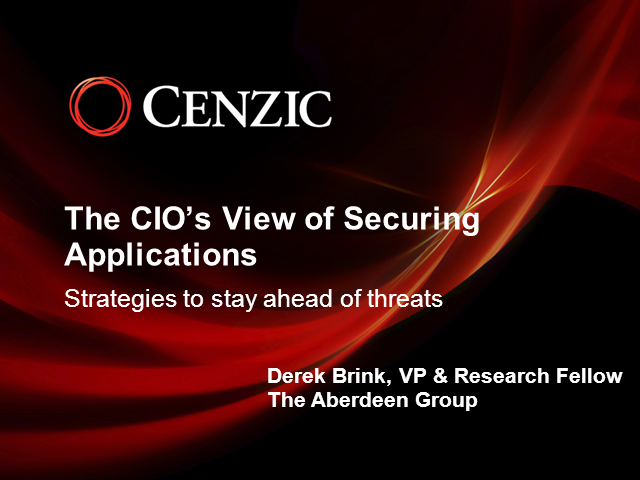 This webcast summarizes Aberdeen's analysis of current users of each approach to provide additional insights into the benefits and tradeoffs of these three high-level strategies for securing Internet-facing enterprise applications.